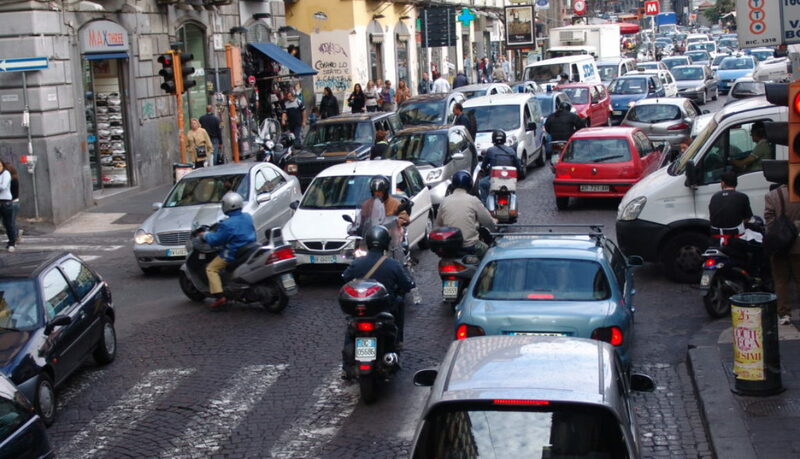 Italian traffic is notoriously chaotic and dangerous, as all foreigners (and accident statistics) attest. There are hardly any Italian cars here that do not have scratches or dents. 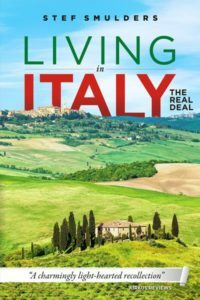 I wrote about our experience with the real estate agent driving us to our future home in my book Living in Italy: the Real Deal. “With my right foot still on the pavement, the estate agent’s car was already pulling away. 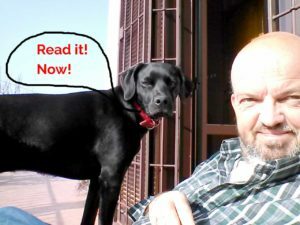 My reaction was fast: I pulled both legs inside and slammed the car door, averting an accident. The estate agent obviously had no time to waste! We were going to look at two properties in the Oltrepò Pavese, the area lying south of the river Po, which traverses Northern Italy. I sat in the front and the estate agent prattled on in hundred-mile-an-hour Italian. 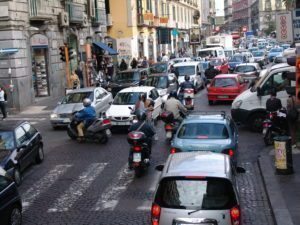 I only understood bits of what he was saying, partly because I was too disconcerted by the traffic which we were navigating with Italian flair.” Now, after living in Italy for almost ten years, I noticed some particular driving behaviours of Italian drivers. I will post a few of these in this blog in the form of short sketches. Today the first one. „Con calma, slowly, slowly, there it comes, the turn.” The car, a Fiat Panda of course, model cake tin, 4×4 (! ), is almost at a standstill on the thoroughfare. La freccia, the direction indicator, isn’t blinking so it is not clear that the driver is about to turn right. The oncoming traffic slows down in frustration. Several drivers of the stopped cars start hooting. Arms appear from the drivers’ seat windows, gesticulating wildly. One of the cars in line moves a bit to the left to see if it is possible to overtake, but no, a car is approaching from the other direction at high speed. „Sì, sì, non preoccupatevi, sto già andando, mamma mia. Yes, yes, no worries, I am going, my god!” The car starts turning right at snail’s pace. Tring tringgggg! The cell phone lying on the passenger seat is ringing. The driver picks up the phone while still managing the right turn and holds it at his ear. „Pronto? … Sì, sto arrivando. Sono appena uscito della strada provinciale. Cinque minuti e sono lì. Va bene? Yes, I am coming, just left the provincial road. 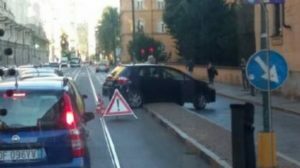 Five minutes and I’ll be there.” During this short conversation the car has dangerously left its course and ended up on the other half of the road. An oncoming car, approaching the provincial road at, as always, high speed, doesn’t fully succeed in avoiding a collision and … Klengggg! At home the driver fixes the mirror of his car with some tape. Replacing it with a new one makes no sense as he doesn’t use the mirror anyway. True drivers look ahead, not back.